Since I don’t expect that any of you frequent Russian language sites, I expropriated some pictures for your viewing pleasure. 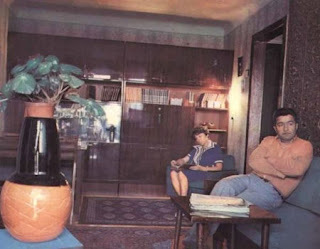 If you were invited to a typical soviet apartment in the late 70s – early 80s, chances are it would look something like this. 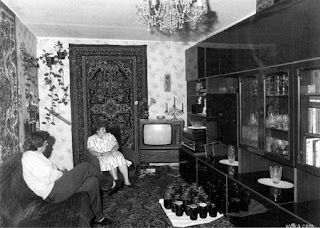 My living room looked pretty similar and so did many other living rooms I visited. 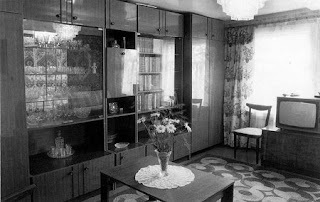 The only thing was that many of these only served as living rooms during the day. At night they were converted to bedrooms, where sometimes kids and parents slept and I am not limiting kids to any age here. Some people spent most of their lives sharing a room or two but in the morning you wouldn’t be able to tell. 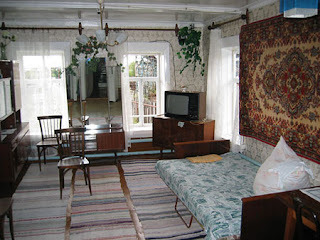 In my own case we had several rooms but we shared the apartment with 4 other families. And by “shared” I mean we had one toilet, one cold water faucet in the bathroom and one corner of the kitchen with a stove and later our own sink. But that’s a different story.